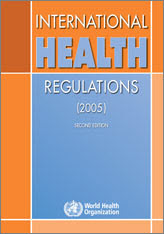 The International Health Regulations (2005) is a good instrument for global health preparedness. Donor countries will find in the IHR many reasons for and ways to investing in public health systems. These were the messages in Preben Aavitsland’s presentation to an international audience at a meeting at the Norwegian Institute of Public Health on December 12, 2013.